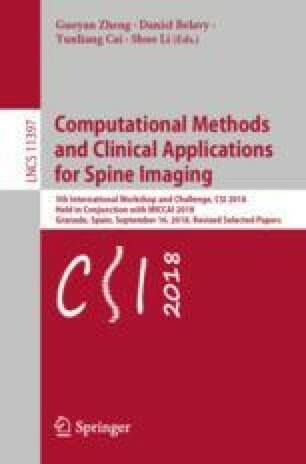 We propose a method for automated grading of the vertebral endplate regions according to the Modic changes scale based on the VGG16 network architecture. We evaluate four variations of the method in a standard 9-fold cross-validation study setup on a heterogeneous dataset of 92 cases. Due to the very weak representation of the Modic Type III in the dataset, we focus on the grading of Modic Type I and Modic Type II. Despite the relatively small size of our dataset, the pipeline demonstrated a performanc1e that is similar to or better than those achieved by the state-of-the-art methods. In particular, the most performant variant achieved an accuracy of 88.0% with an average-per-class accuracy of 77.3%. When the method is used as a binary detector for the presence or not of Modic changes, the achieved average-per-class accuracy is 92.3%. Our evaluation also suggests that the so-called mixup strategy is particularly useful for this type of classification task.